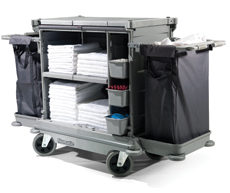 Chemiclean Products are distributors for Numatic International's full range of NuKeeper Housekeeping Service Trolleys, Laundry Trolleys. 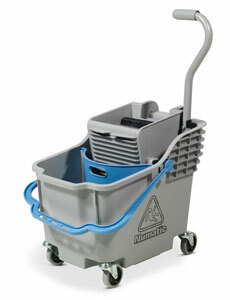 Sevroclean range Cleaning and Janitorial Trolleys, Numatic Mopping Systems and Mop Buckets. We are ideally located at our factory in Birmingham, West Midlands, to provide a 24/48 hour delivery service to anywhere in the UK mainland for most equipment and spares. A friendly company who cares about its customers, offering the best prices and free delivery on all orders over £35.00 to anywhere on the UK mainland. 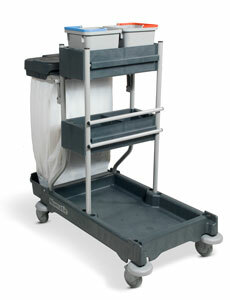 We can also deliver to the Channel Islands, Isle of Wight, Ireland, Isle of Man, The Orkneys and Europe. Reduced Delivery Charges for Offshore Islands and Europe. 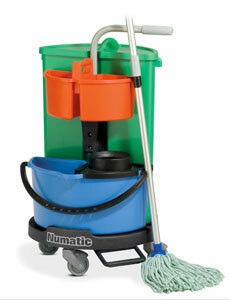 Contico and Numatic Mopping Systems:- twin bucket systems, conventional and microfibre flat mops etc. 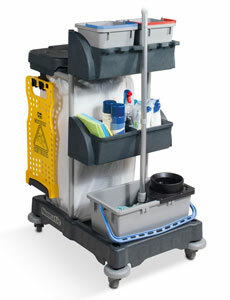 NEW Nu-Bag Laundry Trolleys Highly Mobile with all round Bumper protection.